WWW.MICHAELWILLIAMS.CO.UK: Me Profiled In 'Digital SLR User Magazine'. The new issue of 'Digital SLR User Magazine' (UK, Cover date August 2010) is out, and has an eight-page profile on my photography. I'm interviewed about my background and my approach to my work, my love of music, and the feature includes a selection of my portraits. 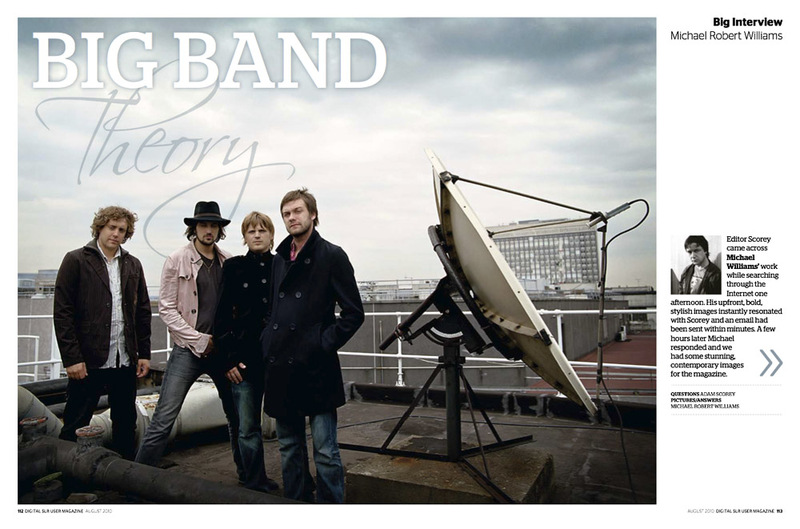 The picture above shows the opening spread showing my portrait of Kasabian.